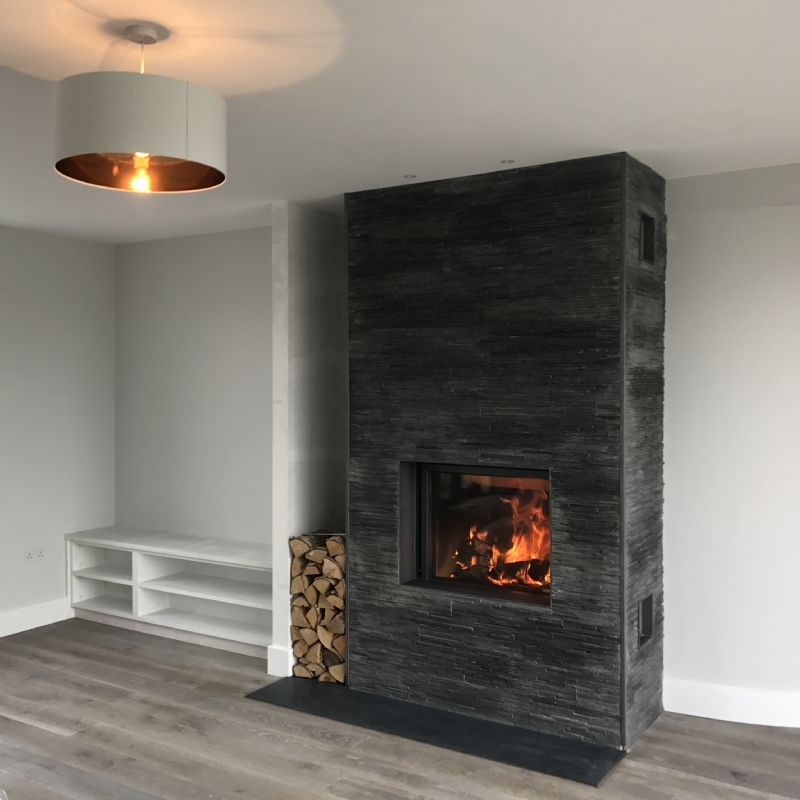 Stuv 21 85 in Trevelva Holiday Home in Cornwall wood burning stove installation from Kernow Fires. 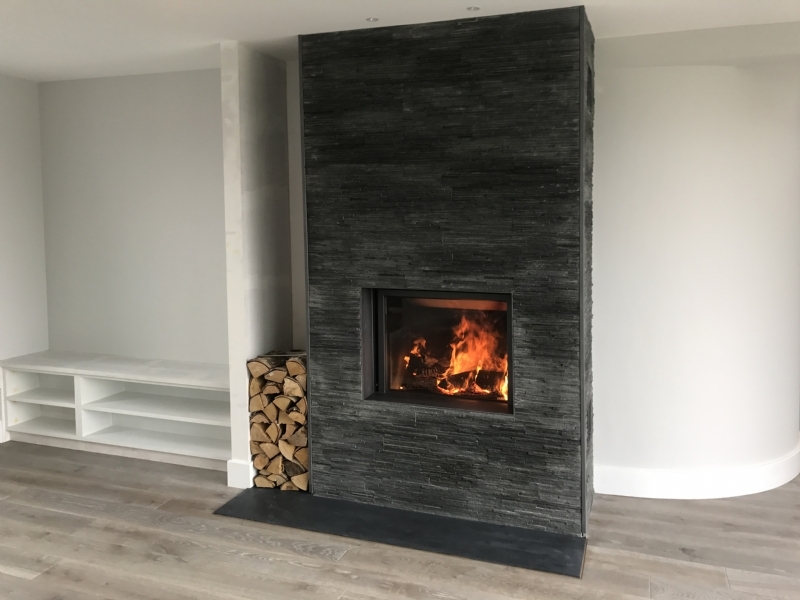 The Stuv 21 85 is a sleek modern fire which is a preferred choice for many architects when designing homes. 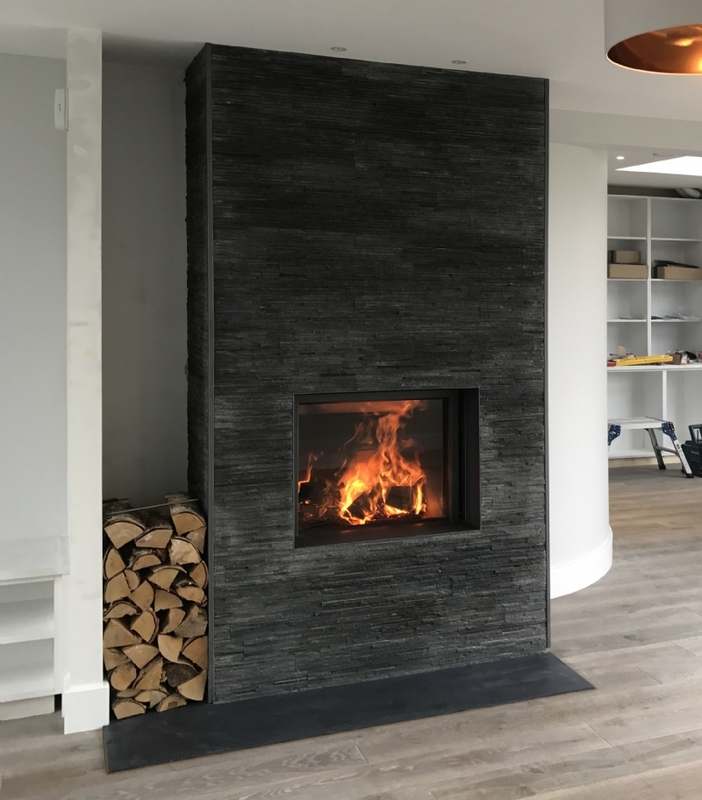 The neat vertical sliding door has the wow factor and the fire itself burns beautifully and efficiently. This home was designed by Harrison Sutton and built by Harbour Construction.